You can purchase new 16ft scaffolding tube from us at any time as we have a large supply always in stock. 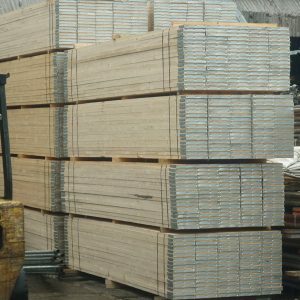 These bars or poles are type 4 which means that the inside thickness is 4mm and the outside diameter is 48.3mm. 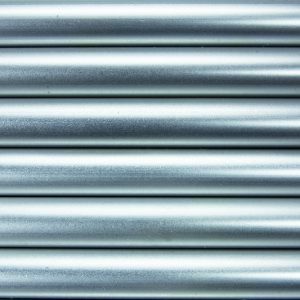 These heavy-duty tubes are made from the highest quality galvanised steel and have been coated with zinc to enhance the scaffold poles durability and resistance to rusting. 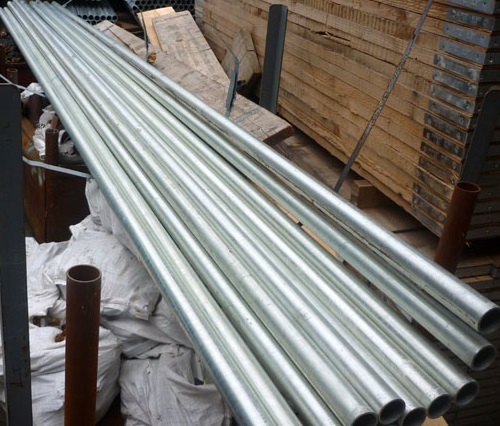 The new 16ft or 4.8m scaffold tubes we have for sale have been British standard certified to BS EN 39 standards. 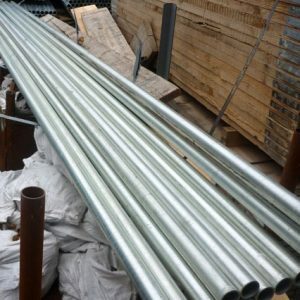 Scaffold tubes are mainly used to build scaffolding towers or platforms for trades and construction sites, this is due to how safe and reliable they are once built in to a framework, put up correctly they can withstand many things and take on extremely heavy loads. 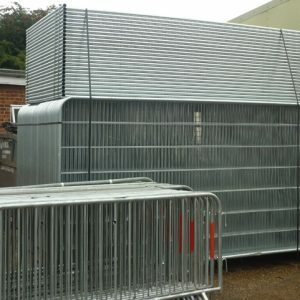 Used with Heras fencing for tree protection. Framework for large screen for outdoor events. You will need to buy a certain quantity of new 16ft poles, so you can qualify for our delivery service. YOU MUST ORDER A MINIMUM QTY OF 5 x 16ft scaffolding tube. Contact our team for more information and our delivery prices. Are approved and abide with BS EN 39 British standards. Have a zinc coat to help prevent rust. Can be used many times over. New 21ft, 13ft, 10ft, 8ft and 5ft scaffolding poles. New 13ft, 10ft and 8ft scaffold boards. Scaffolding doubles, swivels and single clamps. 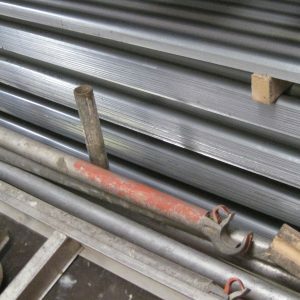 Order more than 50 x 4.8 metre or 16ft scaffolding tube to receive discount.